Craft beer pioneer Frank Appleton, author of Brewing Revolution: Pioneering the Craft Beer Movement (Harbour Publishing, 2016), has been longlisted for for the National Business Book Award, a $30,000 prize which is given to the author of the most outstanding Canadian business-related book published in 2016. English-trained brewmaster Frank Appleton of Edgewood, B.C., has been a consultant brewmaster for twenty brewing operations, including consultant work in brewery design, start-up and brewer training. 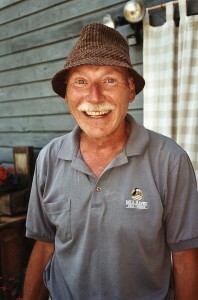 In 2009, Appleton received the Lifetime Achievement Award for Leadership in Craft Brewing from CAMRA Victoria Chapter. His memoir, Brewing Revolution: Pioneering the Craft Beer Movement (Harbour $24.95) recounts fifty years in the brewing business, from his early years working for one of the major breweries, to his part in establishing the first cottage brewery in Canada, to B.C. 's thriving craft-beer industry.